There are quite a number of cartomizer options available for a wide variety of electronic cigarettes. This article deals specifically with cartomizers that are designed around a fiber filing material that holds the liquid. Boge, Eastmall, Joye, SLB and Smok Tech are some of the brands associated with these. The methods described apply to standard 510 (shown), dual coil 510 and KR808 models as well as others. Sometimes referred to as the condom fill method, the cap fill method uses the soft cover from the cartomizer to push liquid into it. 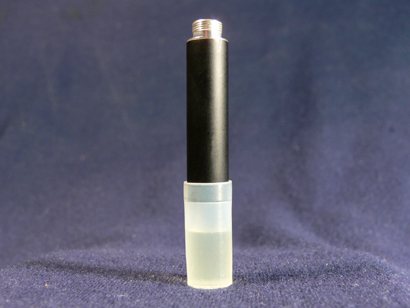 Some electronic cigarette cartomizers will have a cap on the battery end that has a plug in it that will need to be removed. 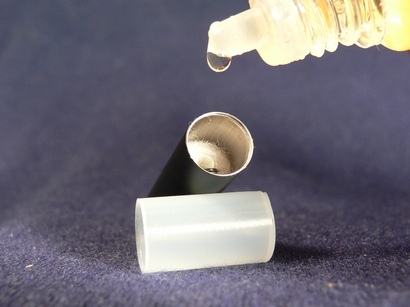 Try to use a cap that has a flat bottom inside to avoid wasting e-liquid. 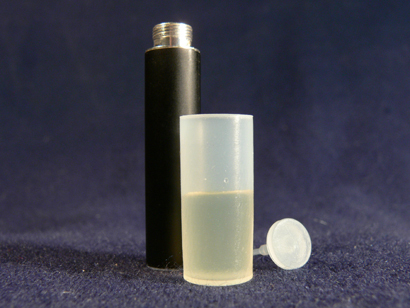 About 25 drops of e-liquid are dripped into the cap that was removed from the cartomizer. Once the liquid is in the cap, push the mouthpiece end of the cartomizer down until all of the liquid is absorbed. 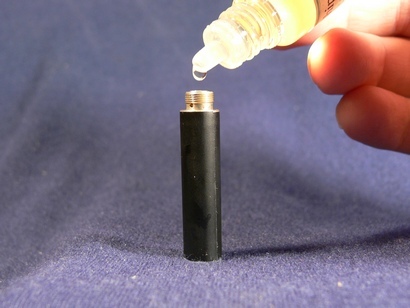 Another method is to simply drip into the battery end. When holding the tip of the bottle close to the hole in the middle, the electronic cigarette cartomizer will seem to almost pull the droplets off the end of the bottle until it is full. Drip slowly to avoid over filling and hold the cartomizer with a paper towel to catch any excess. E-liquid can also be dripped into the mouthpiece end. In order to do so, the mouthpiece cap must be removed. 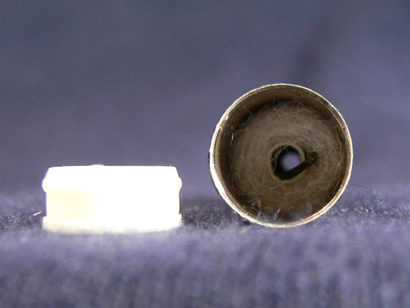 Most current electronic cigarette cartomizers have a soft plastic cap that can be easily removed with a paper clip or pick. If the cartomizer does happen to have a hard cap that is difficult to remove, heating it will usually help. Dip the mouthpiece end in boiling water for about 30 seconds to loosen the glue and the cap should be easy to pull out. Once the cap is removed, hold the cartomizer at a slight angle and drip e-liquid directly onto the fiber filler. Try to avoid dripping into the coil tube in the center. Again, about 25 drops should fill an empty standard electronic cigarette cartomizer. No matter which method is used, best results will be achieved by rolling the electronic cigarette cartomizer between your fingers or on a hard surface a few times to distribute the liquid. It’s also best to leave them sit for a half an hour or so before vaping. Be sure to wipe of the battery and mouthpiece ends before vaping. Cartomizers are a little more difficult to clean than electronic cigarette atomizers. When used repeatedly with the same liquid, cleaning is not often necessary. 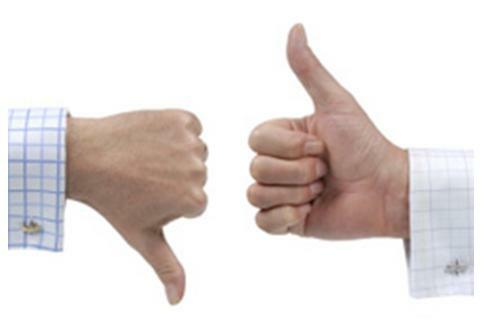 When changing liquids or when performance starts to decrease, however, cleaning out the old is often desirable. See Cartomizer Cleaning With a Syringe for one of the easiest methods I’ve found fpr cleaning electronic cigarette cartomizers.